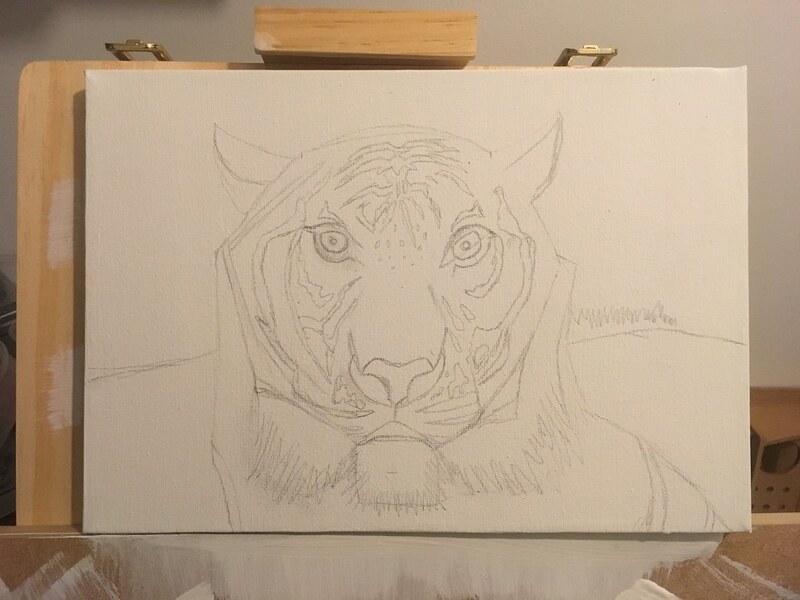 Only a little bit of progress tonight, this time focusing more on the fur of the tiger. 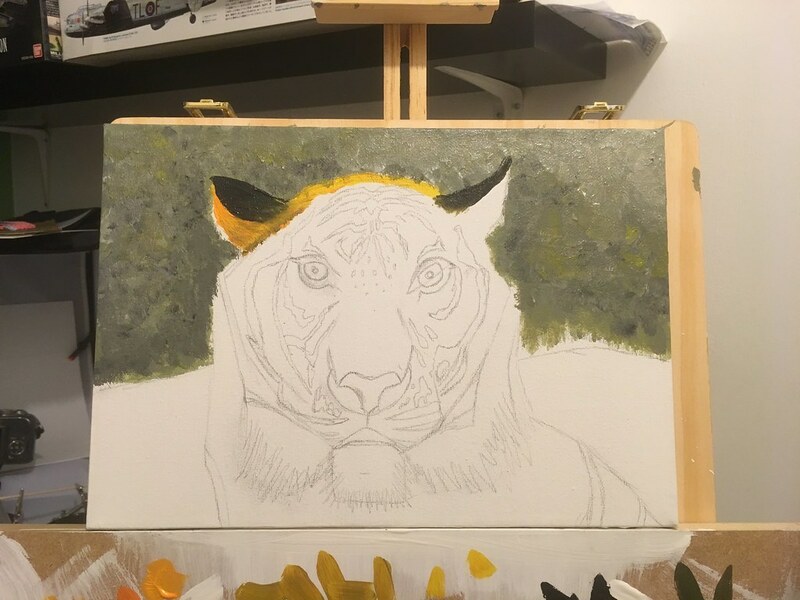 I found myself at a little bit of a loss this evening, so did some more work on the Tiger! 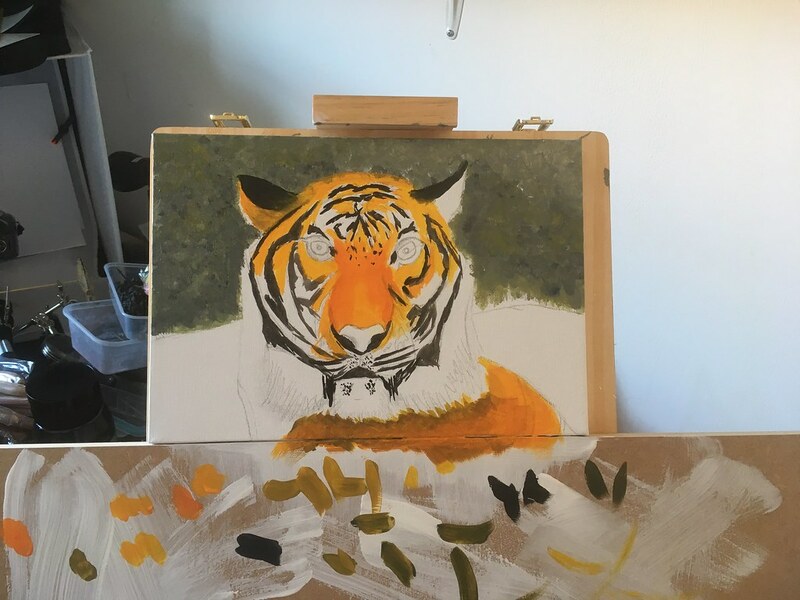 I moved on from the background to start blocking in some of the main colour of the tigers face. 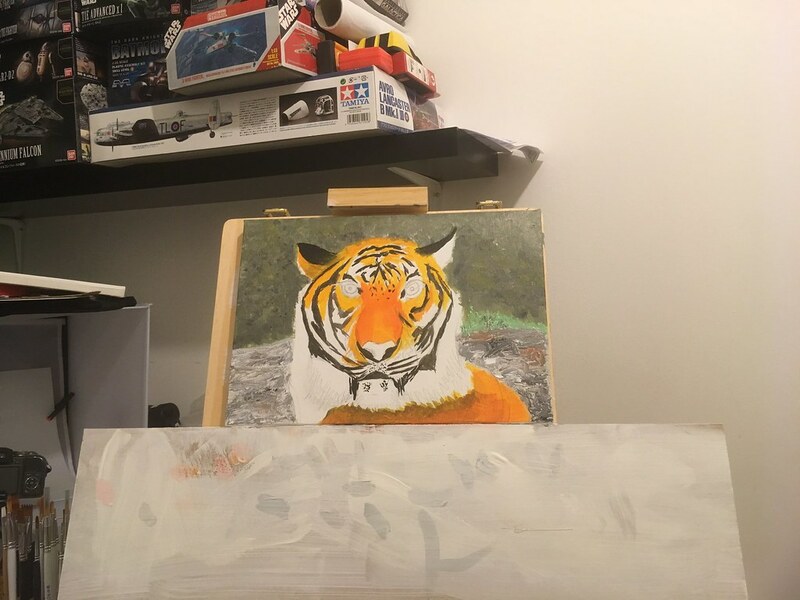 Tonight I worked on painting in the background. In previous paintings I’ve added the background at the end, and always ended up with quite solid blocks of colour; I wanted to try something a little different this time. 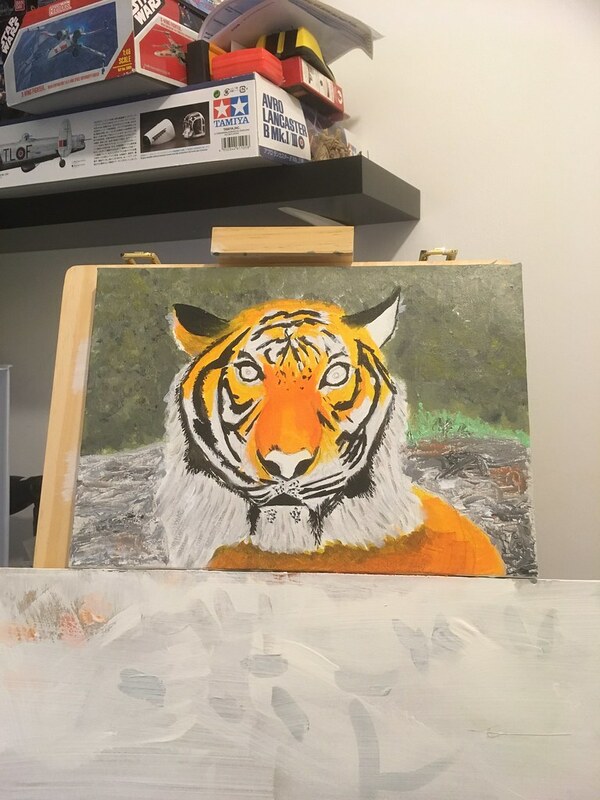 After over a year of not producing an actual painting, after going through the photographs of the “Big Cat Keeper” experience day at Dartmoor Zoo with Moni, I was inspired to start a new animal portrait! Improving Pippin’s face, and progressing the base. Tuesday – glazing to take the starkness from highlights, continuing with highlights where needed, and starting on the face… the face has not gone well! Working on highlights and shading on Pippin. 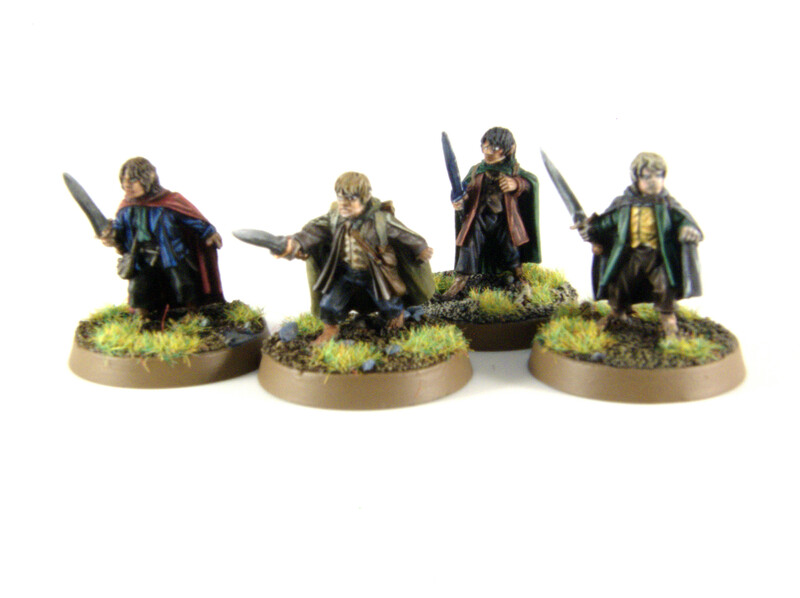 After completing Merry, I thought who best to work on next other than his partner in crime, Pippin! This post covers an evening and a morning’s work.